I’m afraid I’ll be blamed and seen as the problem. Every pattern and process that couples create with each other requires two people. When you or your partner experience fear and anxiety, you may cope in ways that keep both of you stuck in unhealthy habits. Couples therapy will help you identify the ways in which both partners can make positive changes in themselves in order to strengthen the relationship. Ryan Therapy Services works independently of insurance companies. If you would like reimbursement from your insurance company, Ryan Therapy Services can provide an invoice for you to submit directly to your insurance company. Full payment for services is required at each session. Are couples counseling services really worth the time and cost? Couples therapy is certainly a financial investment. As is the case with everything else in your relationship, it is crucial to make a financial investment if you want to create a clear, secure future together. Additionally, therapy is an incredible gift to yourself and to your partner. Before long, couples therapy sessions can become an integral, nourishing and invaluable part of you and your partner’s weekly routine. I’m afraid of taking an emotional risk and not receiving my desired results. Many people are afraid of being vulnerable and misunderstood, and this is certainly a valid fear. However, our sessions together will focus on creating a space for authentic connection and deep intimacy, and this space requires vulnerability. Sometimes it is necessary to take an emotional risk in order to discover a deeper sense of joy, intimacy and peace with your partner and with yourself. When therapy is first getting started, it is most effective to meet once per week every week. Once clients make progress and reach some of their goals, sessions can be spread out to once every other week and then gradually decrease in frequency as therapy comes to an end. If you have financial or time constraints, however, we can meet every other week when we are getting started. I am flexible with this, and work to adjust the meeting times to the needs of my clients. 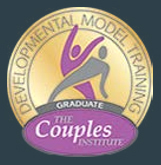 Will I have individual sessions if my partner and I are doing couples therapy together? The second and third sessions are individual sessions for each partner so that I can learn about your family background and other significant life events. I may meet with one partner occasionally if I feel that some brief solo work will enhance the couples’ work we are doing and for issues related to the couples work. If a partner or partners have issues that require more comprehensive individual therapy, I can make referrals for you. 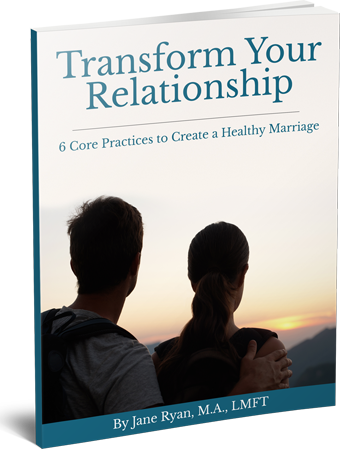 You mention the words, “marriage” and “couples” a lot, but do you work with non-traditional, intimate relationships as well? Yes. I work with polyamorous and non-monogamous clients as well as committed couples who are not married. I use “marriage” as a term representative of all intimate relationships and I use “couple therapy” as a way to distinguish from individual work. I work with clients who have various kinds of intimate relationship structures in addition to the traditional couple structure. If you have other therapists working for Ryan Therapy Services, do I get to choose who I work with or are therapists just assigned? If a client requests a specific therapist on my team, they are given that therapist, as long as the therapist has room in their schedule. If the therapist who the client wants to work with is fully booked, I always give the client the option to either be put on that therapist’s wait list, or to start therapy with one of my other therapists who is immediately available. As I listen closely to the clients’ needs and current issues during our initial discovery call, I may recommend that they are matched with the therapist who specializes in the issues the client is describing.